As my second Kindle (monthly Prime rental) book, I thought I’d go for a “top” book in my genre. 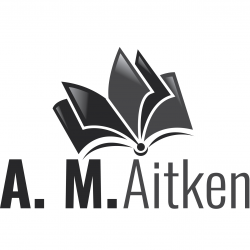 An Amazon imprint publishes it, so I wasn’t sure what to expect. It’s not a long book, but it felt much longer than it should’ve. It’s set back a hundred or two hundred years ago in London where magicians work with man-made goods. 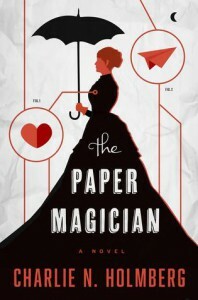 I thought the premise was fun, and it was interesting that the main character Ceony, worked with paper. I also quite liked the idea of working with man-made things such as metal (smithing) etc. and being able to enchant them. I felt that there was too much backstory to the story. We dive into the backstory of Mg. Thane about half-way through the book and then spend the rest of the book there (I can’t explain this without giving away the story). I don’t know about most people, but I just cringed when I read all of this. I wasn’t interested in any of this, but I guess the author thought this backstory would be fun. I still don’t know how I felt about the evil character, Lira, who is what is named an “Excisioner”. I felt she wasn’t exactly thought out or explained in this book (even though she features in a lot of the back story). I don’t know, but none of the characters resonated with me in this story. Ceony, the main character felt rushed and way too easily charmed. Mg. Thane almost seemed too cliche. I thought it was quite a cool concept, but not executed as well as it could’ve been. I would recommend you get this out at your library, or if you can rent it free as I did, that’d be a good opportunity to read it also. All in all, I liked the magical concept, but not the actual execution of the story.